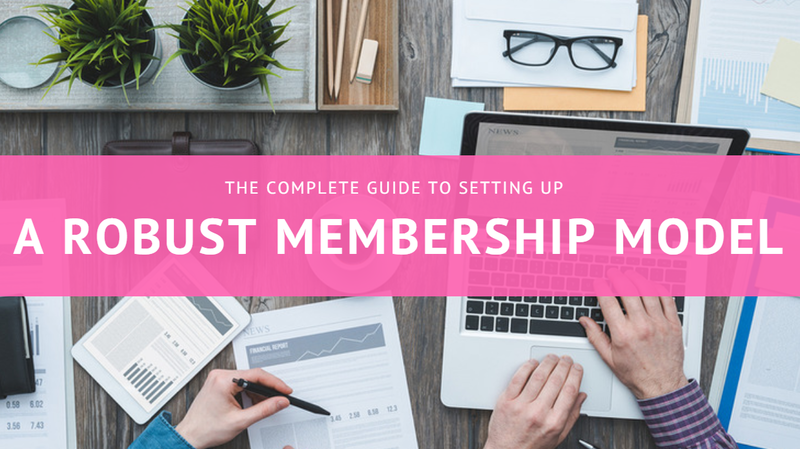 We created this guide for any organization looking to implement a membership model. Over the past decade, we’ve helped thousands of membership organizations successfully set up and grow their members. This guide contains everything we’ve learned. 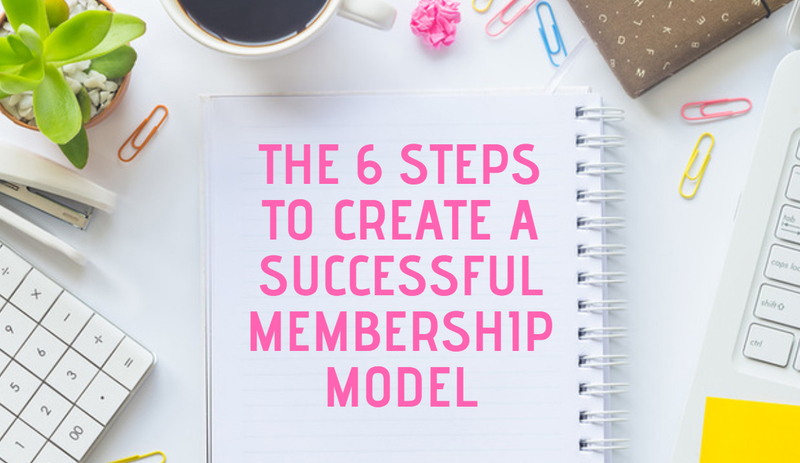 If you’re thinking of starting a membership organization, or just need some help making your model more successful, follow the steps in this guide. If you do, you can expect to see a drastic improvement in the long term growth of your organization. How Does a Membership Model Benefit Members? A membership model is a type of business plan where individuals pay a recurring fee to access the value an organization creates. It provides the design for different membership levels, revenue sources, marketing activities, events and conferences, and finances. In this guide, I’ve pulled together a detailed overview of how to create a model that best fits your organization. But, just like any management practice, if you don’t formalize, standardize, and commit to a set of procedures, you will end up with disorganization, no way of measuring progress, and no way of scaling growth. If you’re unsure whether a membership model is right for your organization, below are some benefits of using one. Stable Cash Flow: Because members pay monthly dues, it’s fairly simple to calculate and forecast cash flow. Lower Marketing Costs: Once you gain a new member, you don’t have to spend more money marketing to them again. This is the opposite of a product-driven business model, where you must keep advertising your products to the same market in order to sell them..
Lower Costs of Business: Since the value you create can be scaled for all members (networking events, online resources, etc. ), your costs of producing products/services are lower than other types of business models. Fast, Direct Feedback from Members: If your membership services are off, it’s easy to tell. Members will stop coming to events, stop visiting your website, and stop reading your emails. Plus members are more likely to share feedback with you, because it’s in their interest to keep the organization providing high value, especially for professional associations, since networking opportunities, certification, and education may may be tied to their career. The Ability to Change a Community: I’ve seen many membership managers provide high-value resources (workshops, events, certification, etc.) to thousands of members, essentially uplifting a whole community of like-minded individuals. This is on top of all the networking opportunities exchanged through members. Access to Exclusive Data: Organizations that build a community are able to track member behavior — which events they’re interested in, how often they open emails, etc. Understanding this data presents an opportunity to fine-tune your membership model to gain more members, reduce costs, and increase member retention. Additional Revenue Opportunities: On top of member dues, members can also be sold merchandise (like hats and shirts), and will pay for events. If you have enough members, you can also gain sponsorship from companies wishing to advertise to your members. 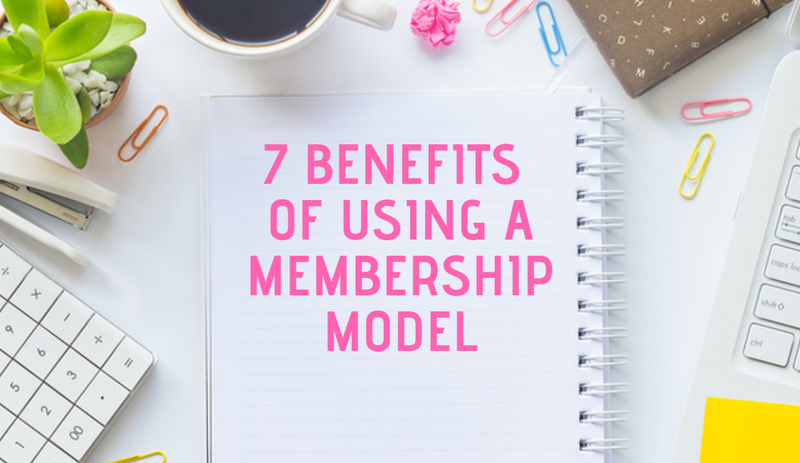 While the above benefits are good for an organization, membership models also create an easy way to increase member happiness by catering to their exact needs, more of this is explained below. Imagine you start a professional writing association. You start gaining new members, but you quickly notice a big disparity in who’s becoming a member. Some members are older. Some are younger. Some are seasoned professionals. Some are new to the industry. However, a good membership model will account for this. If you collect enough of the right information during the member application process, your database can tell you what type of members you have before you even meet them. For example, your database can tell you how many members are still in school, and might want more educational resources, vs how many members are professionals looking for networking opportunities. With this type of data in hand, all you have to do is set about delivering on expectations, which can increase member engagement and retainment. This in turn creates long-term member growth as positive word of mouth spreads from your current members. If you’d like to know more about which member data can help grow your organization, we’ve created a post on the top 10 member data fields to collect. One important thing to remember is that nothing engages a member more than a personal experience — either a personalized email, phone call, or in-person interaction. Giving your members personal experiences is crucial to building engagement from the ground up. On top of this, a good membership model has processes in place to measure member engagement levels and identify problem areas should they arise (email open rates, event RSVPs, etc.). I will show you how to set this up for your organization later in this article. Once you gain a new member, your costs to keep that member decrease drastically. In fact the cost to retain a new member can be as low as 25 times less than the cost to find that member in the first place. Other nonprofits don’t have this same advantage. It takes more staff, time, and resources to seek out charitable donations, sponsors, government grants, and other sources of revenue (mind you, membership organization can also seek out these revenue sources). Plus, once a nonprofit gets a donation, sponsor, or grant, it takes nearly as much effort to get that same fund again. On top of this, revenue from fundraising and grants is very cyclical in nature, with many dry months through the summer months, whereas membership organizations have a very stable level of monthly revenue. One more thing to note is that membership organizations also have an easier time gaining volunteers in leadership, service delivery, outreach, and networking roles. That’s because there’s always a large member-base of individuals to reach out to for these roles, and being a leading part of the organization can often boost someone’s career. Imagine it costs $25 in marketing materials to find one new member. It then costs you $1 a month (25 times less) in engagement activities to keep that member. Now imagine you charge that member $10 in monthly dues to be a part of your organization. That member will pay you $120 for the first year of their membership. In this basic model, your organization will make $53/year for every new member that joins. That money can then be cycled back into marketing activities to attract more new members. The best way to create a successful membership model is to take a lesson from the for-profit world. That’s what the most successful membership organizations do. Imagine you open a new restaurant that sells $20 plates of food. What do they need to be successful? Besides great tasting food, they’ve got to deliver amazing customer experiences, have a pleasing atmosphere, the right quantity of food, friendly service, plus they’ve got to compete on all those things with every other restaurant in town. That’s a lot to deliver on for a meal that likely costs $20. They start with a business plan, which lays everything out on paper. In fact, no new business can get funding from a bank without one. On the flip side, most membership organizations are classified as nonprofits (clubs, associations, etc.) and started from the ground up, so they don’t need to get bank loans, and therefore don’t typically think about creating a business plan. Who their Target Market is. The value their organization brings to the market. The best ways to reach their Target Market. How much marketing dollars are needed to reach their Target Market. Not to say creating a business plan will guarantee success, or make it easier, but it can help you push through tough times to create a stable business. In fact, every organization we spoke with had some form of struggle in their early days — either with gaining new members, figuring out their value, running successful events, or something else. However, it was the business plan that helped them figure out fill an unmet need, reach their target market, and find supporters. Just take this example of a mother who grew her membership organization 300% over three years. If you need help creating a business plan for your membership organization, we’ve created a full guide on what you need to include (plus some example templates). The hardest part about building a successful membership model is creating enough value that people actually want to pay a monthly due for. The number one reason membership organizations fail is because they don’t understand what creating value actually means. Unfortunately some think the idea of the organization is good enough for people to want to join. I knew of one woman who started a paid online gaming forum. She thought the idea of talking to other online gamers was good enough to entice people want to pay, but in reality, she didn’t get a single member. I’ve come across similar situations more often than I’d like to. But creating enough value is also incredibly difficult. It takes experimentation, research, money, and most importantly resilience. Fortunately I know many organizations that have discovered what it takes to create incredible value that attracts hundreds of new members each year. In the following steps I’ll go over how successful membership organizations create enough value for their communities. Before you can begin any of these steps, you must choose what type of organization you’re creating. If you need some help deciding what type of membership organization to create, here are some typical types of membership organizations and the type of value they deliver to members. The first are clubs that provide facilities for geographic-bound communities. Think of a local swim club, or a tennis club where members can pay to access the pool, or court. These types of clubs typically provide lessons, competitions, equipment, and events to members. Whereas members pay to access the facilities. The second type of clubs are interest clubs. Think of photography clubs, gardening clubs, or car clubs. These types of clubs provide networking opportunities, discounts on events and products, and educational resources to members. Members pay to access the resources and come to events. Association: Professional associations make up some of the largest membership organizations in the world. Think of a professional writing association, or a sports massage therapy association. Associations provide a lot of value to members including education, networking opportunities, annual conferences, certification, accreditation, and more. Members may pay to access resources, update their professional certification, or to network with other industry professionals. Nonprofit: Nonprofits can employ any sort of member-based model. Some nonprofits are based on recurring donations (ex. charities, foundations, etc. ), access to their resources (ex. Museums, parks, etc. ), or to band together around a community (ex. churches, chambers of commerce, etc.). The value you create depends on what type of nonprofit you’re running. Business (for-profit): Businesses have varying reasons to create a membership model. Some businesses like Costco, require a basic membership to access their products/services. Whereas other businesses like online courses give full access to all their resources for a monthly fee. If you’d like to see some real-life membership organizations at play, here are 25 solid membership website examples. Once you know what type of organization you’re creating, you’re ready to create your membership model. Have you engaged in a robust look in the mirror? When creating a membership model to present your value and benefits to prospective members, you should always be clear on what your value is, as an organization, and what benefits you will provide to members. Ensure all employees complete a training on the new or existing organizational overview information. Ensure all new employees undergo an onboarding process that includes organizational overview information. Let’s use the example of a nonprofit community orchestra to illustrate what is meant. Based on your organization’s mission and vision, what do you actually offer to members, employees, sponsors and other stakeholders? For example, our community orchestra offers “music performances to enrich the community,” which is a great mission. But the orchestra also offers “jobs” to employees and musicians, offers “special access to performances” and “a feeling of exclusivity and sophistication” to members, and offers “marketing benefits” to corporate sponsors who want to engage with orchestra membership. In order to refine your offerings and increase your organization’s value, you must make sure the offerings match the stakeholders and your activities are prioritized correctly to achieve your goals. Write down all of the stakeholders of your organization. Write down what benefit you offer to those stakeholders (i.e. “a feeling of sophistication”). Write down what benefit your stakeholders offer in return (return on investment) in terms of revenue, networking access, reach, volunteer support, etc. Compare the value of the benefits offered and returned to your organization against your available time, resources, and ability to achieve your organizational goals. In the end, a community orchestra may find, for example, that corporate sponsor revenue, after the costs of networking, sponsorship contracts, production of the music brochure, production of the banners, and free tickets given out, only result in a fraction of the revenue and the orchestra needs to achieve its goal of hiring a full-time conductor, and the corporate sponsors don’t provide a pipeline to new members, like tapping into existing members already does. Perhaps in this case it’s time to rethink the corporate sponsorship package to better align with your goals. Does that mean giving up corporate sponsors? Maybe. Maybe not. Aligning member goals with your own isn’t a zero-sum game. It’s more of an effort to maximize engagement and benefits for everyone. Survey your stakeholders – employees, members, volunteers, donors, sponsors, recipients of your nonprofit services – and ensure your organization’s mission aligns with their values. Adjust your message, mission, and values to better align with the most important stakeholders you identify or identify a new group of stakeholders to target who already share your vision and values. In our last example, corporate sponsors seemed like more effort than they are worth to achieve organizational goals, but dropping sponsorships may not be the best idea. Instead, look at giving out free tickets as targeting those 5,000 new orchestra-goers or asking sponsors about the demographics of their employees to better identify programs that employees might be drawn to as members – a children’s interactive series, perhaps? A sing-a-long for grownups? Using the data from stakeholder benefits versus return to your organization and from your stakeholders themselves will better help you achieve your overarching nonprofit goals. From here, it’s a good idea to complete a quick check of your vision, mission, values, goals, and brand are in-step with your existing and future members and other stakeholders. Focusing specifically on members, not employees or other stakeholders, you should now be able to make a solid case for the type of membership model your organization might need. Will you have paid memberships? Various membership levels? How much does the money matter? Do the volunteers matter more? If you need help picking your membership levels, we conducted a separate study of over 50 membership organizations to determine the most popular membership models and pricing structures. You can find the results here. A key to growing your membership is establishing a membership model that is in alignment with your organization’s overarching strategy and the values of existing and future members. The model itself is a practical way to standardize dues, set fees for events, create plans for renewals, and explicitly spell out membership benefits for various membership levels. Perhaps the orchestra surveys its members and discovers that one small subsection of members accounts for 30% of the organization’s annual revenue. These members are predominantly retired and loved supporting the orchestra because it is a sophisticated place to meet with their friends. However, there’s a downside with this group. They’re aging and the orchestra needs to find a way to sustain finances for the organization, which may mean attracting younger members. In this case, it’s vital to be aware of which types of members are the biggest supporters of the organization in order to push for new members in alternate areas like “individual” “family” and “corporate” to grow the support base. A critical consideration when establishing the fees for your nonprofit membership levels is the return on investment, or net revenue, for a membership. If you spend $100 to send out a brochure and you secure five new members from that effort, it cost you $20/member. If an individual membership is $50, then your return on investment is $30/new member. Set a budget based on your past expenses and your goals. Create a marketing plan that has measurable objectives that are in line with your goals. Keeping track of every membership retention and recruitment marketing effort is absolutely crucial to ensure you are getting a good return on investment, your membership pricing structure is balanced, and you’re meeting set goals. Do some research on what similar organizations in your area are offering to their members before you set your member levels benefits and prices. Demonstrating benefits, allowing feedback loops that are meaningful to members who want to help steer the ship, providing consistent revenue streams, and serving up a ready volunteer pool are all critical reasons you should implement a nonprofit membership model that helps you communicate effectively to existing and potential members. Repeat, repeat, repeat: Your organization needs to continually remind members of the benefits you offer. Always use your established messaging and branding. Always tell your story in the voice you’ve established that resonates with members. Always look for ways to measure effectiveness and get feedback. Create and maintain an engaging, mobile-friendly website: An attractive, easy-to-navigate website is an essential. Not only housing your online self, but also being a glimpse into your mission, vision, values, and professionalism, your website is often members’ go-to place for event information, announcements, sign-ups, and more. There are endless tips to help you create a website that will best support your organization, and after you think you know it all, check out The 22 Features Every Top Nonprofit Website Has for more details about on customizing your web presence to the nonprofit world. Reach out to existing and new members in ways that work for them: Because you’ve done your homework, you know where your members go for information. Are they checking their email or their mailbox? Are they on Instagram or Pinterest? As you market to like-minded people think about where they are — local meetups, social events, social media networks – and be there. Formalize your activities in the marketing plan. Think outside the box, and you may be in for a surprise: Don’t forget to experiment with marketing memberships to new audiences. Attracting new members with a new hook is a great way to revitalize your growth if you find the same old efforts not working as well as they used to. Be relevant: Forbes magazine explored the idea of dramatically increasing memberships and sponsorships a few years ago, but the tenants remain the same: you must provide actionable insights and perspectives that help your members thrive or add value to their lives in order keep them or draw them in. Evaluate everything: We’ve mentioned “measure progress” a number of times, and we’re not kidding. Do you know your email open rate? Do you know what percentage of web traffic is from mobile or desktop? Do you know what the return on investment was from your last mailing? Schedule in the calendar, quarterly or bi-annually, time to go through the performance of every marketing effort. Be sure your website is tapped into online analytics, like Google Analytics, to provide specific feedback on mobile. Set up Facebook Business Account to track engagement and pipelines on social. And use your budget and your membership metrics to track everything else. This will help you see clearly see how your efforts are is succeeding, as well as areas where you can improve. If you don’t have an online membership database set up yet, Wild Apricot is a great option used by thousands of membership organizations around the world. Think about the community orchestra again. Their main member base is older, not on Facebook or other social media, and loves getting the glossy orchestra program in the mail at the beginning of each season. That information is crucial to keeping them happy and engaged, but it can also be used to deepen their connection to the group. The orchestra could try creating a branded holiday card set for members to buy (and then send) to their friends and family. This may tap into their need for sophistication and help spread the word about the orchestra’s programs. Also, more and more older people are going online, so the orchestra may fall behind if they don’t also offer services online. The orchestra can also look through their database to determine small subsets of members who are growing fast. Perhaps they discover that couples whose kids have left the nest is a growing demographic. How can the orchestra make sure it caters to this member group as well? In this way, it’s important to keep on top of your member trends. You may just find an opportunity to offer new services to gain more members. The reason we put together this guide is because we work with thousands of membership organizations every day. After all, we’re the largest membership management software on the market. Over 20,000 organizations from around the world use Wild Apricot to handle all their membership needs. That’s because Wild Apricot automates (and even eliminates) 90% of the administrative work associated with running a membership organization. Many membership managers report saving 20 hours a week or more. Below is a short video showing some of the benefits of using a membership management software like Wild Apricot. Create an Online Presence: Use our drag and drop website builder to create any page for your organization: Join Us, Events, Donation Page, Blog, Resources, Info, etc. Register Members and Event Attendees: Simple online registration with instant online payments. Keep All Your Contacts in a Robust Database: Wild Apricot updates your database as soon as your members update their profiles or register for events. The database is easy to search and filter. Add a Donation Page: Increase online donations and create easy financial reports. Communicate With Your Members: Send professionally designed emails and newsletters to your contacts. Simple Online Store: Sell training resources, materials, books, and more directly from your website. Automate Dues, Payments, Reminders, and Invoices: Simply set up your automated messages and let Wild Apricot handle the rest. Custom Branding: Customize your website however you like. Add your own logo, info, images videos, and other resources to your website. Engage on Mobile: Members can search your directory, view their profile and register for events, all on the free mobile app. If you’re wondering whether Wild Apricot can help you out, I encourage you to take advantage of our free, 30-day trial now. Within an afternoon, you can have a professionally designed website complete with online registration for membership and events ready to go. All the best with your membership!